Estate: Isole e Olena was established in 1950 when the De Marchi family purchased and combined two adjoining estates, ‘Isole’ and ‘Olena’, each of which dated back hundreds of years. The estate is located in the hills of the western Chianti Classico region, between Siena and Florence. Today, 4th generation winemaker Paolo De Marchi heads the estate. 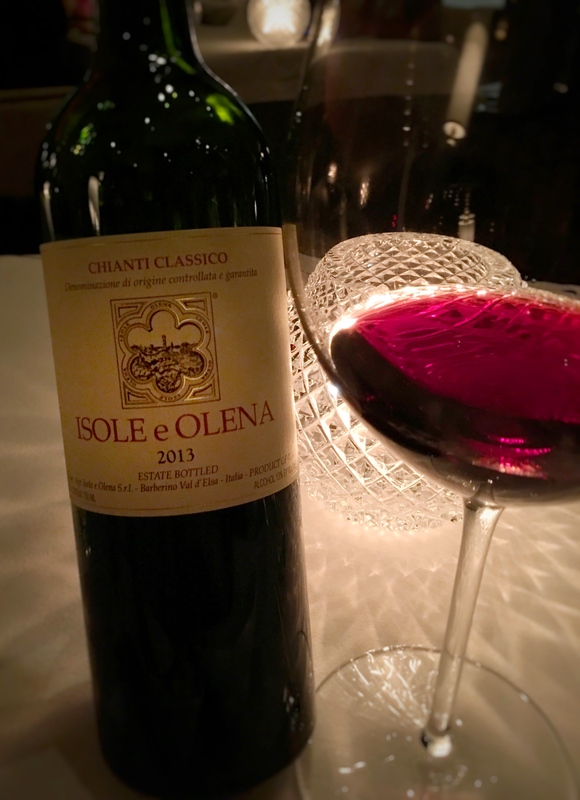 Considered by many to be “the dean of Chianti” Paolo is known for his extensive work with the Sangiovese grape, research on soil mapping and planting density, along with overall improvement and modernization of the Chianti Classico region. A pioneering force of the “pure Sangiovese movement”, the estate’s flagship wine ‘Cepparello’, first produced in 1980, is 100% Sangiovese. Winemaking: Grapes were sourced from vineyards with limestone, clay slate, and sandstone soil mix. An ideal blend, the soil allows “for sufficient drainage in times of heavy rain and retain moisture during droughts”. Aged 12 months in a combination of oak casks and barriques, with 15% new wood. Aged in the bottle for 4 months before release. Tasting Notes: Red-violet in colour with aromas of cherry, earth, woods, cigar box spice and a touch of clove. Wild berry and sour cherry flavours meld with leather, black pepper, sweet and spicy clove and herbaceous traces in the full body. Silky tannins and bright acidity compliment the clean, saline minerality on the dry, fruity finish.